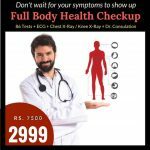 Full body Checkup in Hyderabad [Platinum – Rs.4999] - Get 75% Discount! best master health checkup packages. Growing age, fluctuating weight accompanied by small ailments like knee pain and back aches, we Indians usually ignore these small health problems. But do you know how important it is to take care of these small ailments at the right time. Many ignored symptoms today can turn to be life threatening diseases tomorrow. So, never ignore your health, keep a regular track of your body changes with a regular full body check-up. Spread over an area of 650 km^2, the city was formed in the 16th century and ruled by the Mughals until 1724. Recently been declared as the capital of Telengana, the city is home for around 8 million people. Hyderabad is ranked as the sixth most productive metro area of India. Popularly known as “the city of pearls” Hyderabad is one of the global trading centers for diamonds and pearls. The huge developments in the pharmaceutical and biotechnological industries along with major Indian manufacturing, research and financial institutions headquartered in the city, the employment opportunities are many. This has led to a pool of people migrating from the surrounding states for better career opportunities in Hyderabad. The recent developments have given rise to the urbanization and modernization activities in the city. The city is surrounded by many small villages, which are now being included as areas of development and being integrated in the main city. This has increased the population of the migrated laborers in the city. The huge population of these daily wages collecting people has increased in quite a huge number and this has resulted in development of slums in Hyderabad. Food and travel are not that expensive in Hyderabad which makes it easier for people to migrate, but the sudden increase in the number of people migrating from rural to urban area of Hyderabad has created shortage of basic facilities like water, sanitation and housing. The world is urbanizing on a rapid scale, and Hyderabad is not untouched. The population of the city is increasing in a fast pace due to two basic reasons, one is increase in employment, this is due to the recent rise in the real estate and construction activity, which is been playing a major role in economic development and employment generation of the city and the other being the migration of people from rural to Hyderabad city for availing these employment opportunities. According to an article published in Deccan Chronicle in July 2017, Hyderabad has the second largest population of urban poor in cities of India which is 23%. This means out of every 100 Hyderabadis, 23 are poor. But people have no idea that by creating these slums for themselves, they are paying a price of their health against a life being lived in metros. Not only these slums, but there are also another set of people who face challenges. They are the people who are marked just above the poverty line. Shelter is something that they can make for themselves, but basic needs like safe drinking water and sanitation are still a challenge. Most of them end up using shared facilities ending up suffering from severe infections and diseases. There is also increase in the illiteracy among children and most of them work in unorganized sectors to support their families. The ratio of people to transport facilities is also an issue. Hyderabad is pretty famous for its traffic problems thus increasing the pollution level to a greater extent. Plus, the wastage produced. Where does all this go? Either some dumping yards or the street sides, all these factors are affecting the life of an urban poor every minute. Is Hyderabad prone to chronic diseases like any other city in India? Hyderabad is the fourth most populous city and sixth most populous urban agglomeration in India. Hyderabad was historically known as a pearl and diamond trading centre and today the growing set ups of big players in manufacturing industries, pharmaceutical and biotechnological industries has taken the city to new heights. With a population of 8 million people and 10 big slums in the city, Hyderabad produces around 4,500 tonnes of solid waste daily. Rapid urbanization and increased economic activity has also led to increased industrial waste, air, noise and water pollution. With all these factors prevailing in the city, people aren’t spared from the infectious and chronic diseases. Deaths resulting from atmospheric particulate matter are estimated at 1,700–3,000 each year. Hyderabad faces the same burden of Non-communicable diseases like any other city in India. In Hyderabad, ailments related to heart, kidneys, cancers and accidents (trauma) contribute major burden of NCDs. Hyderabad also has the doubtful distinction of having the largest number of diabetes patients in the country as it is ranked 6th for prevalence of diabetes in the country. The city has seen a steep rise in the diseases like heart ailments and cardiovascular diseases, pulmonary diseases, strokes, anemia due to iron deficiency and risk factors related to these ailments are like dietary habits, high blood pressure, air-pollution, high cholesterol, sedentary lifestyle, tobacco consumption and diabetes. The reason for mortality across all age groups can be distinguished as follows; Neonatal and child deaths occurred due to neonatal disorders, birth complications and nutritional problems. People aged between 17 – 39 years faced death due to burden of diseases like cardiovascular diseases, cancers, chronic respiratory diseases, diabetes, cirrhosis, digestive and neurological disorders. Cardio vascular diseases, Parkinson’s, cancers and liver diseases topped the cause of death in the people aged above 40. About one third of women and one fourth of men are overweight and obese, 49% of children below 5 years are anemic and up to 20% children are underweight in Hyderabad. There are many people in urban Hyderabad who struggle to cope with the many challenges of life and are disadvantaged. Healthcare is a major expense for the urban poor of Hyderabad. Why does Hyderabad face problems like HIV even today? About 1,000 new cases of HIVAIDS, are reported every month in the state and Hyderabad alone accounts for 33% of HIV/AIDS people living in the city. A data obtained through a RTI query raised by The Helping Hand Foundation, the most common route of transmission of the virus is through heterosexual activity. 88% percent of the infections are through sexual contact and less than 2% are through blood transfusion and infected syringes. The parent to child transmission accounts for another 3% of the infections and other causes account for the remaining 7% of the cases. According to the National Crime Records Bureau, Telangana has the fourth highest number of human trafficking cases in the country, after Tamil Nadu, Assam and West Bengal which accounts to 8.2%. The presence of sexually transmitted diseases such as gonorrhea or herpes makes a person vulnerable to HIV and increases the risk of the infection. The rate of STDs is higher in the migrated population like migrant labourers, truckers, construction workers and street children. People with employment that requires continuous mobility such as truck/ auto/taxi drivers, employed in hotel industry, agricultural and unskilled labourers are at a higher risk of carrying STDs and spreading the infection. All this clearly shows that the problem of HIV and AIDS has deep social and economic roots. Its impact is far beyond health sector and it affects the society at large. Until these roots are marginalized, the prevalence of this disease is going to affect the individual suffering, his family and the community at large. With shortage of space, high cost of accommodation, lack of hygienic surroundings and proper environment, the urban poor will continue suffering. How can full body check-ups prevent you from chronic diseases? Full body check-ups are preventive health check-ups that help in diagnosing ailments and diseases way before they appear with symptoms. 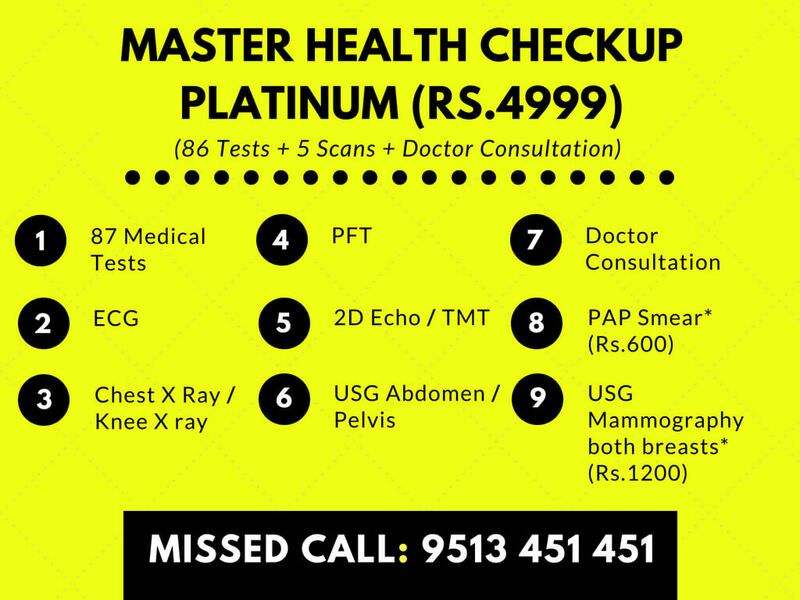 The change in the lifestyle and the shift in the burden of diseases have augmented the need for these full body master health check-ups in Hyderabad. A full body health check up consist of different blood, urine and imaging tests that help the doctor analyze your body and diagnose certain conditions. There are also several diagnostic centers and hospitals who offer such full body health checks. All these offers have different set of tests. 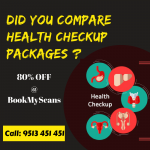 Bookmyscans is also one among the online guides that provide information about full body health check-ups and where you can get it done with best assured quality results. For example, the wellness full body health check-up offered by bookmyscans consists of 83 tests which includes tests like Liver function tests, Cardiac Risk Markers, Iron Deficiency, Thyroid, Vitamin, Toxic Elements, Lipid, Pancreatic Profile, Electrolytes Profile, Kidney, Diabetes Screening and Complete Hemogram and all these just at INR 1,499 only. There are many other packages available like comprehensive tests and master health check-ups which include more than 86 tests and 5 scans. All these tests if taken regularly under the guidance of your doctors can make wonders. They have proven to be life saving tests in few cases where people are diagnosed with diseases like cancer that need early treatments. These tests are also helpful in early diagnosis of all the other chronic diseases like cardiovascular diseases, respiratory diseases, liver and kidney diseases, diabetes, and many other chronic conditions that need treatment. Better control over problems like hypertension, high blood pressure, weight problems, diabetes, depression, mental disorders, and gastrointestinal problems. What are the packages for full body check-ups in Hyderabad? Hyderabad has 165 private hospital and 500 diagnostic centers that are trying to create awareness about preventive health checks in the city. There are also government schemes like Arogyasree and traditional government sponsored re-imbursement schemes like CGHS, ESI that have been helping people of Hyderabad to meet their monetary needs to avail the healthcare needs in the city. Offers of full body health check-ups and their prices vary across diagnostic centers and not all diagnostic centers can be relied upon for best quality results. In such situation, which one to choose is a bigger task. Bookmyscans is user friendly, convenient, accessible and affordable. You can also add any additional tests that you wish to like HIV and Cancer if your doctor insists. We, at bookmyscans partner only with diagnostic centers which are approved from AERB and certified by ISO and NABL and that are equipped with standard and technically compliant and safe testing tools and machines. Our partners are audited periodically to assure you timely and quality services while they maintain the technical competence in the market. BookmyScans has successfully been able to provide services through approved and certified scan centers to more than 25,000 people and has helped them save more than 4.2 crores annually. Patients now have access to diagnostic centers that provide transparent services to the user and guarantees minimum 75% of discount on the market rates. We also provide home collection of samples for the elderly who cannot make to the centers and once the reports are ready, they can be downloaded from our website. So don’t wait for your symptoms to show up. Book an appointment with Bookmyscans today to get a detailed full body health check-up in Hyderabad!